Looking to purchase a Tablet? Here is the list of 6 best small screen tablets currently available in market. Long time back desktops were replaced by compact and versatile laptops. These laptops have provided the user with more mobility, flexibility and comfort. But even these gadgets were being perceived as a “baggage” that demands for space and also as a “weight” that clings on to the shoulders. These struggles encountered by the end users have made the manufacturers to come up with an advanced version that can remove these obstacles. Thus, tablet PCs have made their way in to the market. They are small, affordable and as easy as carrying a notebook. Other parameters like speed, dexterity, multitasking etc. have not been compromised and hence these tablet PCs have become instant hit in the market. Like any other product, tablet PCs do come in different varieties and broad classification of them can be made based on their screen resolution size. Thus we can see (i) Small screen tablets and (ii) Large screen tablets. Let us see how the above have become the best-in-class tablets. Android based smartphone market is being ruled by iPad and iPhone from Apple Inc. This is an undoubted market fact. But this fact is not stopping other big wigs to come out with their smartphones. They thought that the budget phones can give certain competition to the monopoly of Apple. 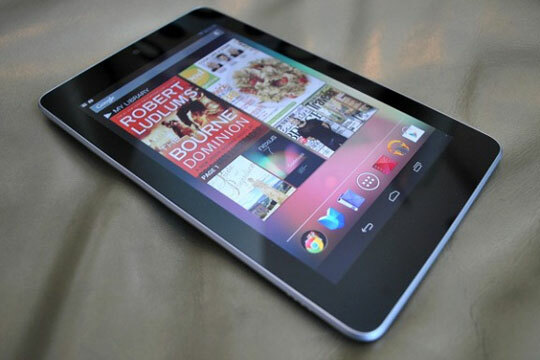 Google Nexus 7 is one such budget gadget from the giant internet firm Google and the hardware manufacturer Asus. This is the maiden branded tablet from Google. Its budget pricing has not affected the looks, features and performance. It is a common woe of cheap smartphone users that the low price is the killer of performance. Google Nexus 7 is the rescuer of such users with its impeccable design and performance. Nexus 7 is very sleek with its 105mm thickness and comes with 4.1 Jelly Bean which is the latest version. It comes with the 1280×800 resolution and due its compact screen it offers sharp images by compacting them at 216 pixels per inch. The rubberized back panel of Nexus 7 offers firm grip. Apple’s iPad Mini lives up to its name with its extremely portable and sleek appearance and excellent design. 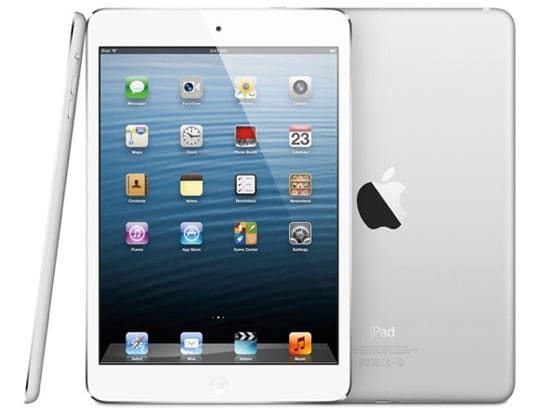 Apple marshaled itself in to the war zone of budget devices and stunned the market with its iPad Mini. 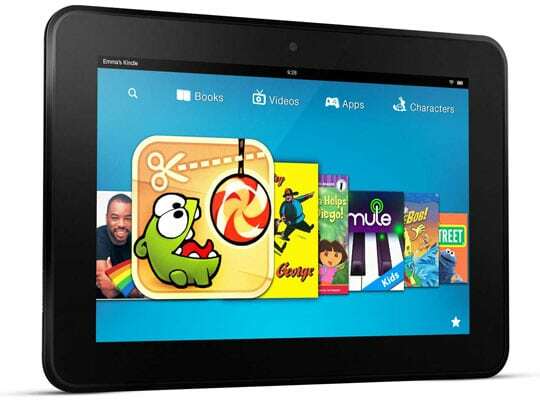 But the market observers and users felt alike that the pricing is not economical when compared to other brands like Amazon’s Kindle Fire HD or Google Nexus 7. On the other hand, when compared with the high-end tablets from Apple, iPad Mini is definitely economical in pricing. iPad Mini’s 7.9” screen is quite small. Resolution stands at 1024×768 with lesser pixel density than Nexus 7. Its thickness is 7 mm and weighs around 308 gms. By this, it is superbly light and sleek. 5MP camera can be found on the rear side of the tablet. Provisions for microphone and 3.5mm headphone port are made. Though Apple iPad Mini comes with 1.5GHz dual core A5 processor, apps would load slower than the top notch iPad generations. But the speed is comparatively better than Nexus 7. Amazon’s much awaited Android phone Amazon Kindle Fire HD 8.9 is an improvised version of Amazon Kindle Fire HD with 7” screen. Two of the unique and best features of Kindle Fire HD 8.9 are (i) the big screen with best resolution and (ii) finest speakers. So, Amazon Kindle Fire HD 8.9 can be loved by those people who love good on-screen resolution and the crystal clear sounds. Another unique feature is the carousel on main screen that holds the thumbnails of recent webpage, movie or music track accessed by the user. Its chipset (dual core TI OMAP4470) is almost equivalent to Google Nexus 7’s Nvidia Tegra 3 chipset. Amazon’s Silk browser works efficiently in loading webpages. On the flip side of it, Amazon Kindle Fire Pro 8.9 comes with non expandable memory thus making it lagging behind the other competitors and not allowing the users to enjoy more movies and music. Its OS is centered around Amazon which looks bit awkward. 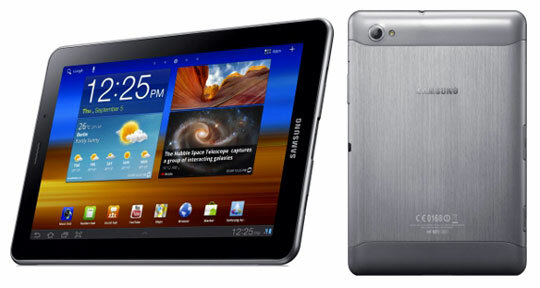 Samsung’s Galaxy Tab 7.7 comes with a superbly crafted 1280×800 pixel touchscreen. This is the center of attraction and the crowd-puller. 3.1mm thick and 7.7mm of surface size, Samsung Galaxy Tab weighs approximately 335 grams only. Camera is mounted in the front as against the standard back side positioning. There is no physical keypad or buttons in the front. Inside the tablet you would find 1.4GHz Samsung Exynos processor that runs on 1GB RAM. Currently it runs on Android’s Honey Comb (3.2 version) but Samsung is promising to upgrade this to Ice Cream Sandwich. On flip side, typing in landscaped mode is bit challenging and cumbersome as the virtual keyboard does not split up while typing. People are wondering at Samsung’s enthusiasm in throwing different varieties of tablets in to the market. 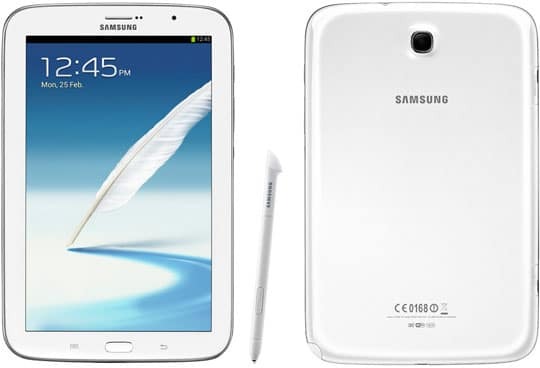 Samsung has already released Galaxy Tab 7 followed by Tab 2 followed by Tab 2 10.1 and now it has released Galaxy Note 8. This shows that Samsung does not want to lose any customer and it wants to cut through the competition at all levels. Samsung feels that its Galaxy Note 8 can rival with Apple’s iPad Mini. By and large, Galaxy Note 8 does look similar to many of its predecessors or contemporaries like Note 2 and Galaxy S3 etc. It features the same shape of rounded rectangular, single button on home and the chrome edging. Though it is very light in weight (340 gms approx.) its size is bigger than the others and users have to use their one hand just to hold the device. They cannot use thumb of the same hand to operate the device. Screen density is bit lower and stands at 189 pixels per inch with a resolution of 800×1280. Unique feature of Galaxy Note 8 it is S-Pen, the stylus that allows the users to draw, annotate, use formulas and many other on-screen functions. They are famous and largest booksellers in the USA for sure but their entry in to the highly competitive market of small screen tablets needs to be watched out for some more time. Their Nook series is trying to make its presence felt in the heavily crowded tablet market which is getting thumped by the stalwarts like Google, Apple, Samsung etc. The latest release, Barnes & Noble Nook HD+ is attractive in its pricing. Market analysts say that no one can beat the pricing of Nook HD+. 32GB Slate comes with a price tag of $299 which is the rock bottom price in that range of products. Buyers can get the tablet through free shipping, if bought from Barnes & Nook’s website. Nook HD+ features a resolution of 1920×1280, one of the biggest resolutions available in the market. It is bit heavier with 500 gms. of weight and looks bigger too. Its 9” screen offers high resolution with 256 pixel density per inch. LCD backlit is brighter and crisp. There are issues with speakers, as observed by many users. The system tones are louder than the video, audio sound tracks. Barnes & Noble had promised to fix these audio issues. 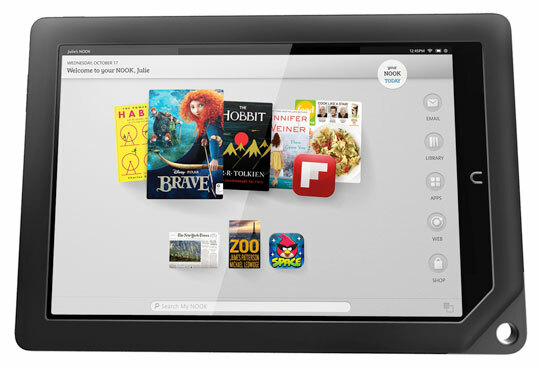 Nook HD+ is based on Android 4.0 version but supported by a faster 1.5GHz dual core processor with built-in Wi-Fi. The unlimited Nook Cloud storage is one of the crowd pullers.